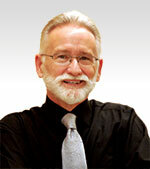 Walter B. Roberts, Jr., is a professor of counselor education at Minnesota State University, Mankato. He began his career in education as a classroom teacher in 1978 and later served as a school counselor before moving to higher education in 1993. In addition to being licensed for private practice, he has extensive public policy experience in mental health and school safety issues, consults and testifies with legislators and the judicial system, and is a frequent source with the media on counseling-related issues. Bullying from Both Sides, his first book published by Corwin Press in 2006, continues to be a bestseller.